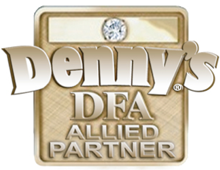 The purpose of our Allied Partner Summit is to bring together our Denny’s suppliers, the DFA Board of Directors and special guests that include other franchise owner groups. We follow a successful agenda of sharing ideas and goals to build our brand. Issues and initiatives that are pertinent to the brand are discussed. Each Allied Partner Supplier meets with the decision makers for the brand to show case their products and services. Two complimentary attendees are included as part of your Allied Partner membership, additional attendees are $700 per person. Register for the 2019 Allied Partner Summit. For any changes to your Allied Partner Summit Registration, please e-mail us at info@dennys.org. Allied Partners receive an exclusive invitation and two complimentary attendees. All attendees are required to register and must have credentials to attend all activities and meals. Hotel reservations must be completed by each attendee through the registration process or by clicking HERE. Any changes to your hotel reservations should be made directly through the hotel. Upon completion of your Allied Partner Summit registration and Hotel reservation, you will receive your reservation confirmation by e-mail. Please be aware that after Friday, March 15, 2019 – room availability and DFA discounted rates are not guaranteed. Food Sampling: DFA 2019 Kitchen Waiver Form – Coming Soon! Louisville has a great network of Lyft & Uber drivers!